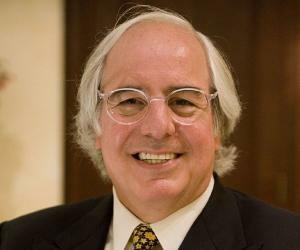 Frank Abagnale Jr. is an American security consultant, known as one of the world’s most infamous impostors of all time. Find more about childhood, family, personal life, fraudulent activities, forgery, etc. 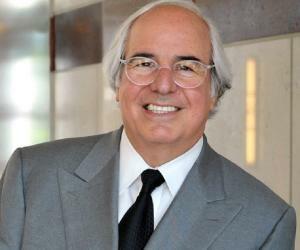 Also Known As: Frank William Abagnale Jr.
Frank Abagnale Jr. is an American security consultant, known as one of the world’s most infamous impostors of all time. Between the ages of 15 and 21, he committed frauds, forged checks, and tricked countless people using different identities. Born and raised in New York, into a very unsettled business family, Frank struggled with family issues as a kid. His parents divorced when he was 12 years old, and that may have played a major role in shaping him as a high-profile criminal mastermind. His first victim was his very own father, who was cheated of more than $3,000 by Frank, when Frank was just 15 years old. Following this, he quit school and eventually ended up leading the life of a criminal. 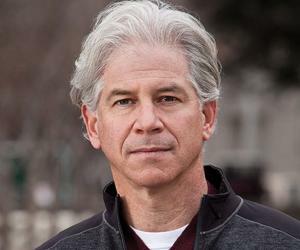 It is believed that he assumed no less than eight identities in his short career as a fraudster, including that of an airline pilot, a physician, and a lawyer. He was captured thrice, but escaped the first two times, by tricking the authorities. In 1974, he was released after serving about five years in prison, on the condition that he would work alongside the ‘Federal Bureau of Investigation’ (FBI) to investigate crimes similar to those that he had indulged in. He has since been working as a security consultant and has established his own security firm. Frank Abagnale Jr. was born to an affluent business family in Bronxville, New York, on April 27, 1948, to a French mother, Paulette, and a Jewish father, Frank Abagnale Sr. His parents had met in Algiers, where Frank Sr. was stationed as an army personnel. Paulette was in her teens when she met Frank, and once the war was over, Frank married her and brought her back to New York. He then started his own business, which quickly turned into a successful enterprise. 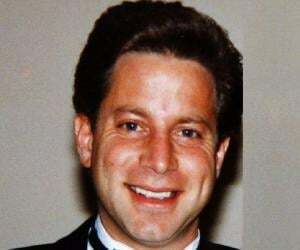 Frank Jr. was the third of the four children in the family. Frank later stated that contrary to popular belief, he had a very stable childhood and was close to his father. When Frank Sr. became extensively interested in local politics, Frank Jr. often accompanied him on his long trips. 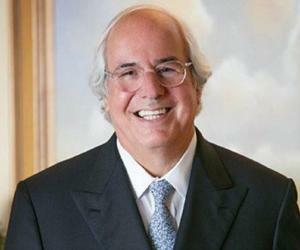 The Abagnale children had a good life until it all turned upside down. Frank’s mother was not happy with his father and their financial troubles and wanted a divorce. The happy family was on the verge of breaking down. When the divorce was finally granted, his father was devastated. Frank stayed with him and never left his side in this hour of crisis. Frank also started taking interest in his father’s business transactions. It was during this time that he became acquainted with white collar transactions for the first time. Frank was very intelligent, which often impressed his father. However, Frank Sr. possibly never imagined that he would become his son’s first victim. When he was 15 years old, Frank Jr. used his father’s gasoline credit card to buy car parts and then sold them off. This mischief caused his father a debt of $3,400. Frank Jr. was caught when the credit card bill arrived and was thrashed by his father. Frank left home at the age of 16. When he left home, Frank had very little money in his bank account. His bank balance primarily consisted of his earnings from part-time jobs. However, the money he had was not enough for him to sustain his lifestyle. Furthermore, he did not get any formal education, and it was difficult for him to find a better-paying job. He indulged in shoplifting but was not caught. This helped him gain confidence for bigger frauds, and he decided to target banks. He indulged in confidence tricks and wrote many personal checks to banks on his overdrawn accounts. He created several new identities and opened different accounts in many banks to sustain his tricks. He also magnetically printed his account number on bank deposit slips and stole several hundred dollars from the banks. As soon as he realized that he would not be able to sustain this fraud for long, he went into hiding. However, this was not before he had accumulated enough money that would sustain him for a couple of years. He used tricks such as dressing up as a security guard and stealing the money from airlines and car rental companies. He once put up an “out of order” sign in front of the drop box for payments that instructed the depositors to hand over their money to the guard on duty. He then collected the money, disguised as a guard, and disappeared before getting caught. When he had saved enough money, Frank decided to finally make his dream of traveling around the world a reality. 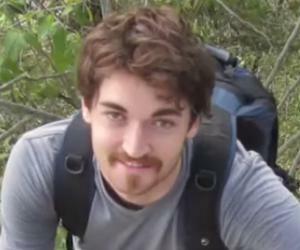 He soon came up with a trick using which he would be able to travel the world without having to pay a single dime. He called up the ‘Pan Am’ administration and told them that he was a pilot and that he had lost his uniform. He produced a fake pilot’s licence and got a new uniform. However, he did not make his way into ‘Pan Am’s cockpits, knowing that he would eventually be exposed. He availed of flights and stayed in expensive hotels on the company’s expenses. When, on one occasion, he was asked to take charge of flying a plane, he put the flight on auto-pilot mode, as he was clueless about how to fly a plane. After he had had enough of this trick, he went back to the US and assumed the identity of a doctor in a Georgia hospital for 11 months. Soon, he realized that his lack of experience in the field could cost people their lives. He thus quit the hospital soon. His next target was the law department of ‘Harvard University.’ He produced fake documents, stating that he was an alumnus of the university. He studied very hard for two weeks and passed the bar exam. He then earned himself a job at the ‘Louisiana State Attorney General’s office. He was 19 years old at that time. One of his co-workers was from ‘Harvard,’ and when he asked Frank questions about his tenure there, Frank had no answers. Frank sensed that his lies would soon be revealed and quit his job immediately. Frank was leading a comfortable life in Montrichard, France, in 1969, when he was recognized by one of his ex-girlfriends. When the French police caught him, he was wanted by the authorities of 12 countries and was subsequently extradited. He served prison time in a few countries. While he was being tried in Sweden, the US demanded his extradition, and he received a 12-year sentence in a US federal prison. After successfully escaping from the clutches of the police twice, he was caught eventually and was sent to a prison in Petersburg, Virginia, in 1971. He served less than five years in prison and was released by authorities when they offered him a deal to help them out with fraudulent cases that were at an all-time high in the US. Frank Abagnale met Kelly Anne while he was working with the ‘FBI.’ They got married soon and currently live in Charleston, South Carolina. They have three sons: Scott, Chris, and Sean. Steven Spielberg’s critically acclaimed film ‘Catch Me If You Can’ is based on Frank’s life. The movie was a huge commercial success, too. Frank’s role in the film was portrayed by Leonardo DiCaprio. Frank, for a long time, remained friends with Joseph Shea, the ‘FBI’ agent who had a major role in catching Frank.